It had rained all night so there was no chance of seeing the aurora again and it was still raining as we left in the morning. 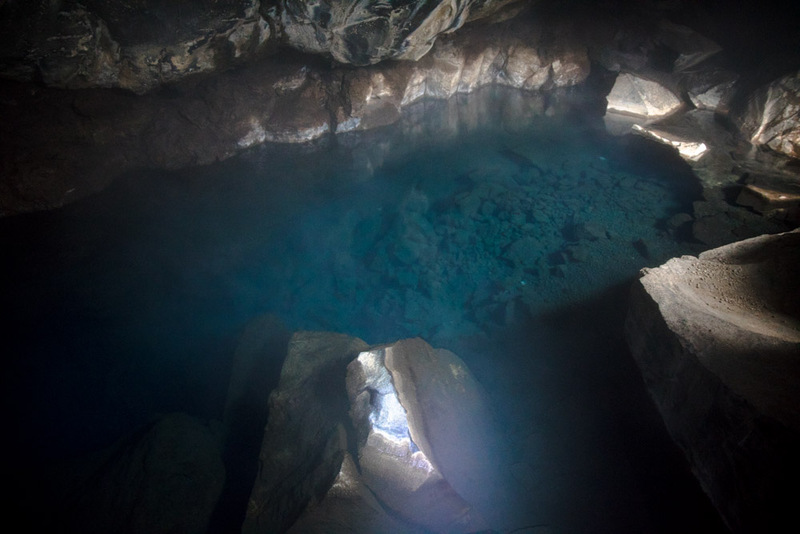 Our first port of call was Grjótagjá, a small lava cave near lake Mývatn with a thermal spring inside. 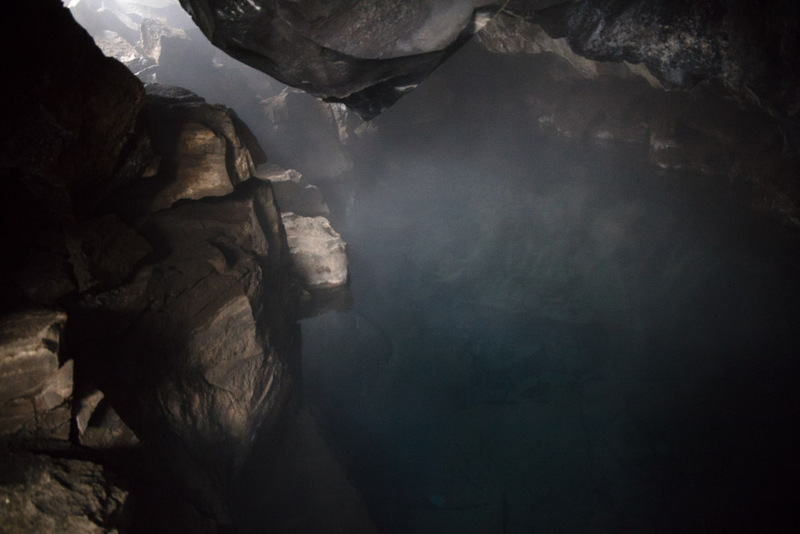 In the early 18th century the outlaw Jón Markússon lived there and used the cave for bathing. 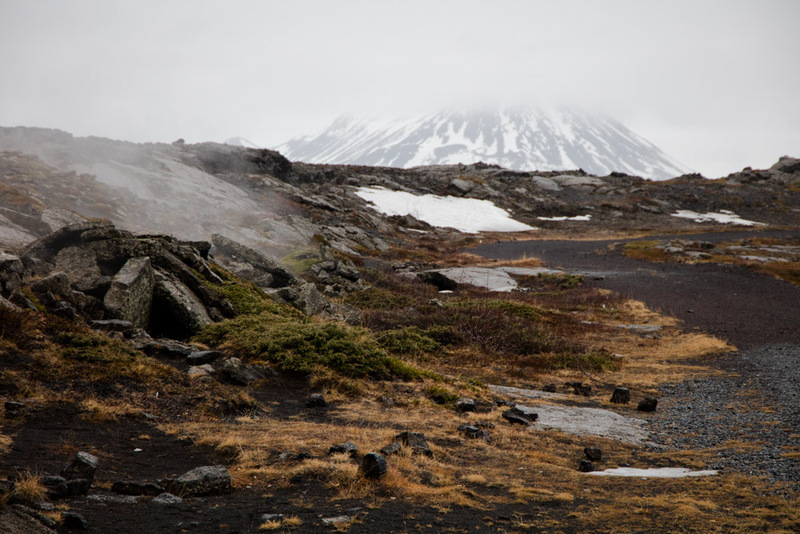 It was a popular bathing site until the 1970s but in 1974-85 volcanic eruptions brought magma streams in to the caves and raised the temperature to 60 degrees. 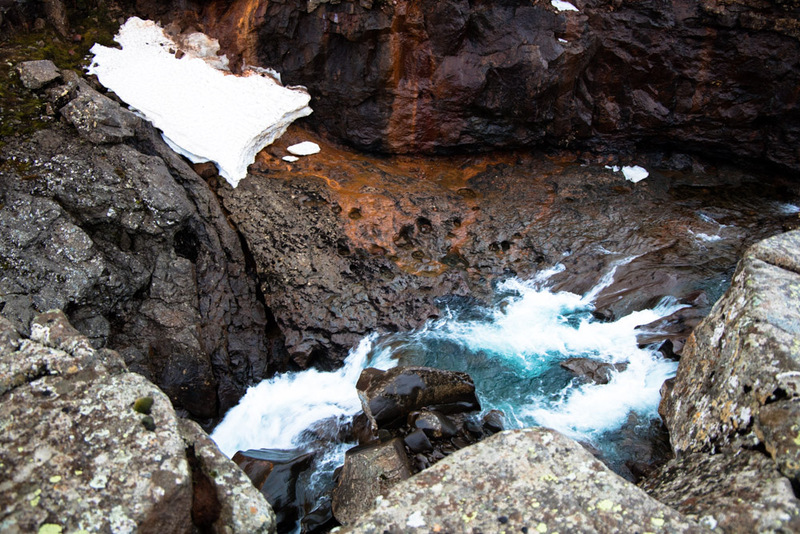 It has now fallen to 43-45 degrees and the public are prohibited from bathing there. However, many people clearly ignore this and some of our party were rather surprised to find a naked German man in the cave they went in to explore. The earth’s crust around here is very thin and we were close to the meeting of the American and European tectonic plates. Hence there are fissures, vents and flat-topped mountains all around. 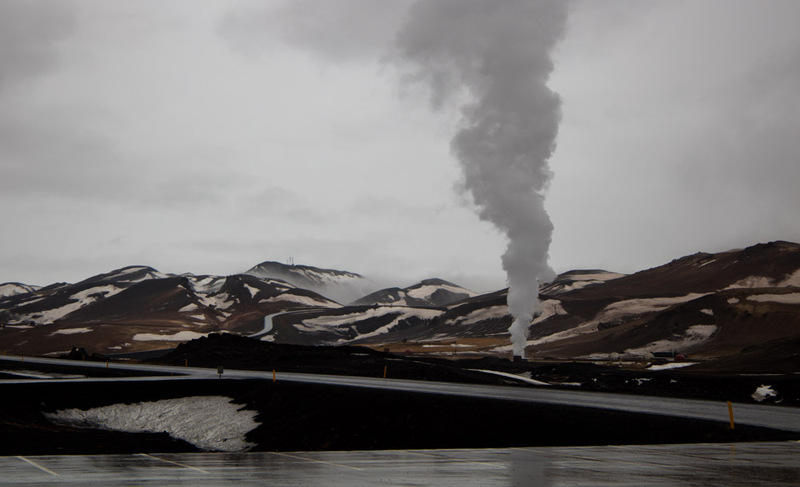 Some of the activity is due to industrial boreholes in a nearby gravel quarry and there is also a geothermal power station in the area. 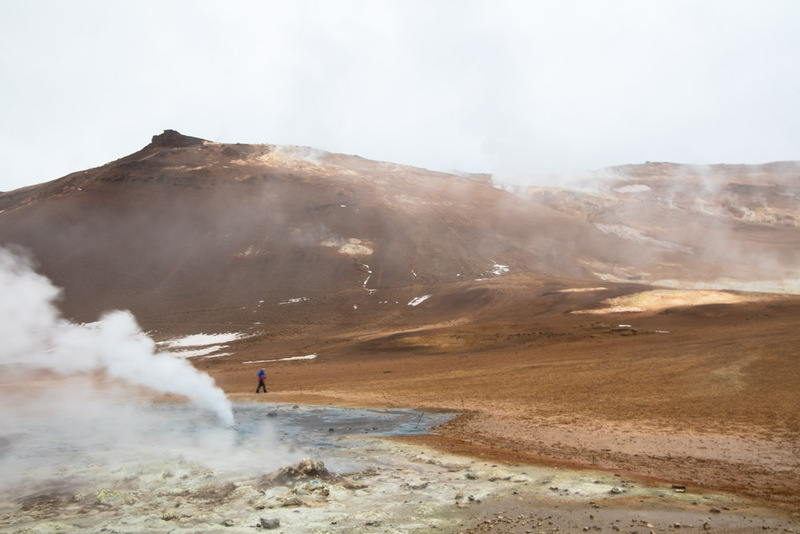 The Namafjall, also known as Hverir geothermal field means that there are many boiling mud pots, surrounded by sulphur crystals of many different colours. Not surprisingly there is little vegetation. Lunch that day was at a farm which also has a café/restaurant, campsite and are planning to build a hotel. The small church here has a lighthouse at the top of the steeple. This was added after a family member got lost in the mountains and died of hypothermia. The light is to aid others in finding safety. It started to snow as we drove towards Egilsstaðir which is situated near Lagarfljót, Iceland’s third largest lake. It is said to resemble Loch Ness and even has a monster. En route we passed a gorge where ice was piled up at the level recent floods got up to. 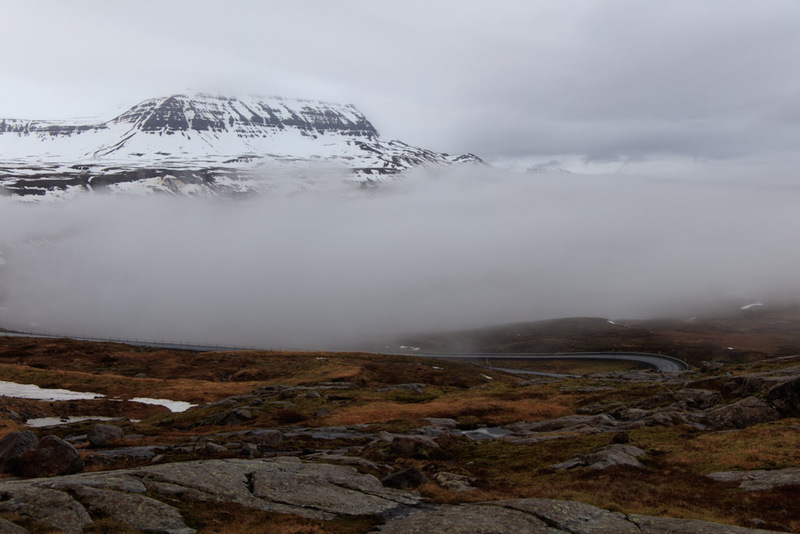 The road to Seyðisfjörður (another diversion from the Ring Road) can be closed in winter but not on this occasion. On the way, we had foggy views over the valley found another waterfall before we reached the town.